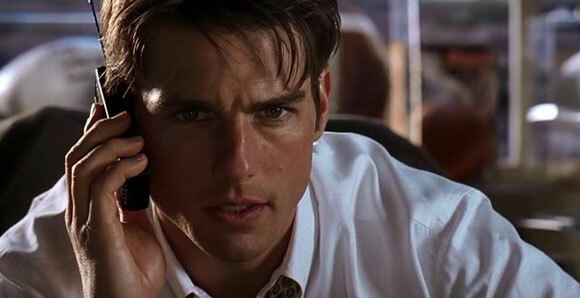 Sports agent Jerry Maguire tries to prove his determination and loyalty to footballer, and prospective client, Rod Tidwell by shouting “show me the money” down the phone. This much-loved scene is one of many delightful moments in Cameron Crowe’s comedy-drama. This terrific four-way telephone call is one of many highlights from Rob Reiner’s terrific romantic-comedy. 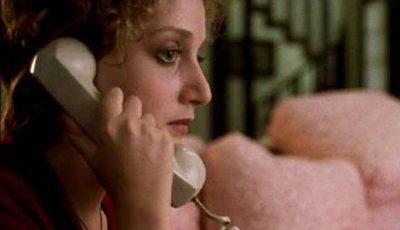 When Harry and Sally call their friends – Marie and Jess – simultaneously, Reiner’s displays the phone call through a split-screen. Marie and Jess are in bed together while the unlucky-in-love pair try to tell the story of the night before. Heather, a teenager harassed by the dead man Freddy Krueger in her sleep, wishes she hadn’t picked up the phone when it turns into the monster’s tongue. A father, awaiting news from the kidnappers of his child, fights back by telling the caller he’s turning the tables around. Now, he won’t pay the ransom and will dedicate his time to tracking the kidnapper down and taking his time enacting his revenge. “There’s no point in you getting hysterical,” says the President of the United States to the U.S.S.R’s own President Dimitri Kissoff as the pair argue over the potential beginnings of an all-out nuclear war. 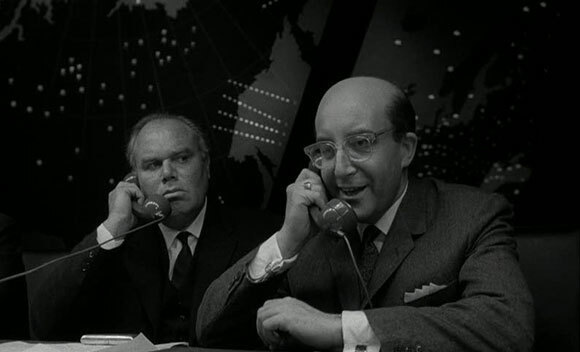 Although the funniest phone call on this top 10 list, Stanley Kubrick’s black comedy highlights the unnerving truth that nuclear war is possibly only a phone call from happening. 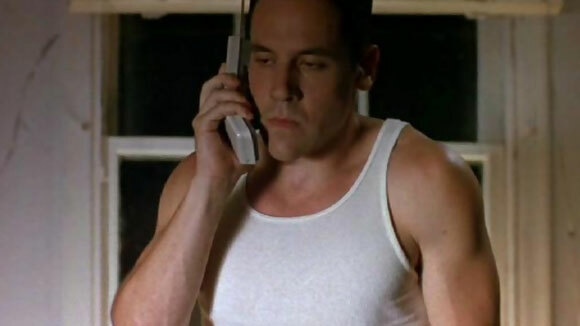 Mike decides to call the girl he met in a bar but the answering machine cuts him off before he has a chance to give his number. He tries again, preambles his way to giving the phone number for a second time and the machine cuts him off again. Mike, recently out of a love term relationship, is still getting reacquainted with dating. He panics that his three phone messages will leave the wrong metaphorical message with his new acquaintance so rings back again to explain his situation. This subtle scene in Swingers beautifully encapsulates the sweaty-palmed nervousness that goes along with forming new sexual relationships, as well as the bleak black hole that coincides with the abrupt ending of an old one. 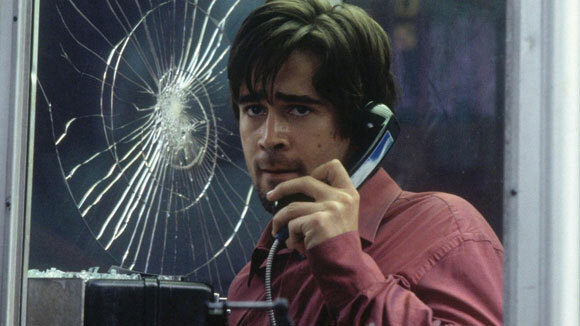 There are few phone calls in the movies – if any – that are as thrilling as this one. 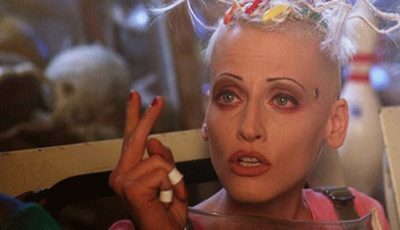 In fact, it lasts almost an entire movie (with a few breathers in between for all the carnage to ensue). In a tale of morals, arrogant Stu Shepard is stopped in his tracks one day when he answers a public phone only to find the caller knows everything about him…including his extramarital affair. Stu is asked to reveal his lies to his wife or be shot and killed by a silenced sniper rifle aimed directly at him. 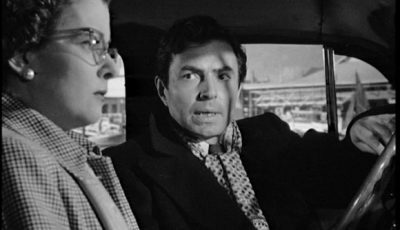 The infamous murder scene in Alfred Hitchcock’s brilliant Dial M For Murder is the culmination of Tony Wendice’s plan to kill his wealthy wife Margot. 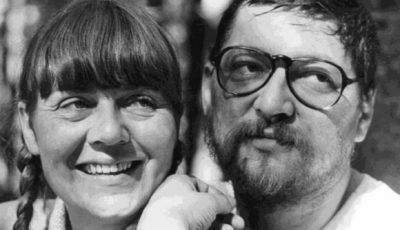 Agreeing a plan with a small-time crook, the telephone call was to coincide with the killer being secreted behind a curtain in the couple’s apartment. But Tony calls later than expected causing the plan to go awry. 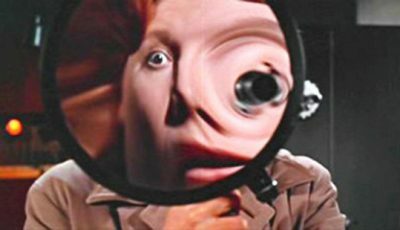 Cue one of Hitchcock’s trademark sequences where Margot, having dropped the phone as the attack begins, tries desperately to fend off her attacker. Inspired by the terrifying phone call in 1979’s When A Stranger Calls, Scream begins with an equally earth-shattering one. Casey Becker, preparing popcorn for a horror movie marathon while her parents are out of the house, receives a call from a mysterious person asking her seemingly innocuous questions about her favourite movies. The call turns nasty when the caller reveals they will kill Casey’s boyfriend if she doesn’t get the answers to horror film questions correct. 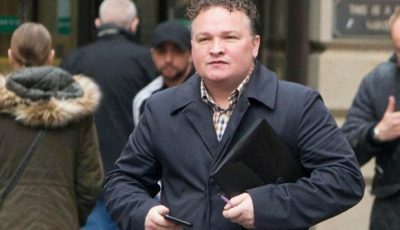 She has no reason to disbelieve the caller when she turns on the patio lights to see her boyfriend, bloodied and tied to a chair. Surely the greatest phone call in the movies has to be the one Jill Johnson takes in 1979 thriller When A Stranger Calls. She’s babysitting for an affluent family when she begins to receive calls from an unknown man asking if she has checked the sleeping children. She ignores it at first but the calls become more frequent and disturbing. Eventually she contacts the police who trace the call and deliver the unthinkable and terrifying news that the call is coming from within the house. 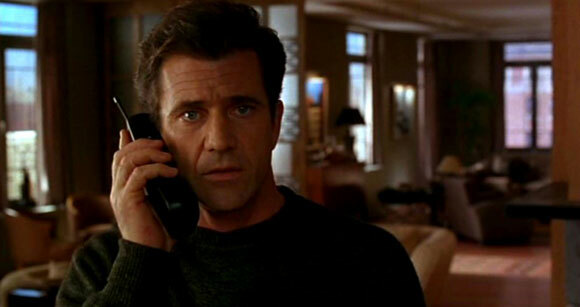 What are your favourite phone calls in the movies? (1) Robert De Niro in Goodfellas, when he learns that mobster Joe Pesci has been executed rather than “made”. When he smashes up the phone booth after hearing the news, it’s not because he’s upset that he’s lost his pal – rather it has dawned on him that he has just lost his one and only conduit into the mob. (2) Sorry, Wrong Number – when the bed-ridden murder target Barbara Stanwyck is told on the phone by a rough-sounding male voice something like’Sorry lady, this is the morgue” when she tries to phone for help; also when husband Burt Lancaster is told by her murderer that he has the wrong number after he decides he doesn’t want her killed. (3) Once Upon a Time in America – no dialogue exchanged, but no need for it as the phone endlessly rings when Noodles (De Niro) makes a call that will ultimately lead to the betrayal of his gang. @Mark: Thanks Mark. That Goodfellas one is a definite for a list like this. Great choice! The Once Upon A Time In America is similar to Dial M For Murder in that there really isn’t a phone conversation. It’s all about how relevant that phone call is to the plot or character. 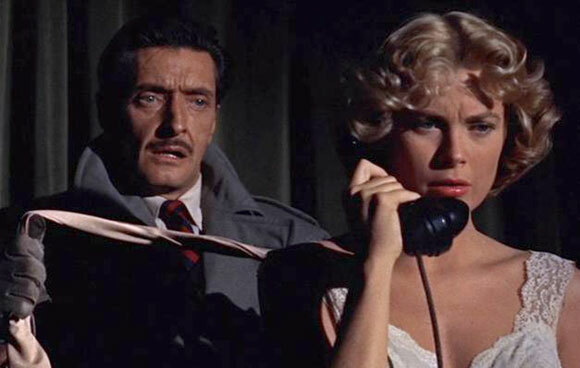 Whenever I think of Dial M For Murder I always picture Grace Kelly holding that phone with the attacker ready to pounce from behind. The call between Adam Sandler and Phil Hoffman in Punch Drunk Love is a favourite of mine. It’s always good to see Hoffman go fully mental at someone, and this is one of this best outbursts. “Shut, shut, shut, shut, shut up! Shut up!” etc. My favorite calls on the list are Jerry Maguire, Nightmare on Elm Street, and Swingers. 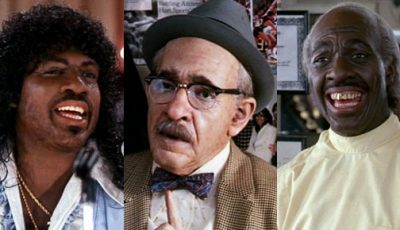 I agree with Mark that the call from Goodfellas would have been another great inclusion. Another fantastic list. anyone who WHMS on the list has done a great job. Nice list… though I’m a bit shocked “Taken” wasn’t on this list. I even expected it to hit the Top Spot. How can the “I have a particular set of skills” speech not be here? Otherwise, nice choices. What about the entire 85 minutes of Locke! I would definitely add the phone call in Taken to the list.